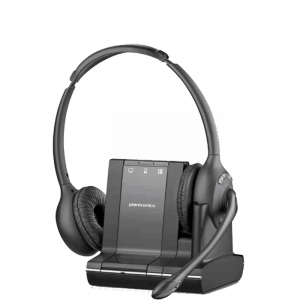 By using a headset you achieve two major benefits; first is ability to be hands free for writing and typing, making you much more productive. 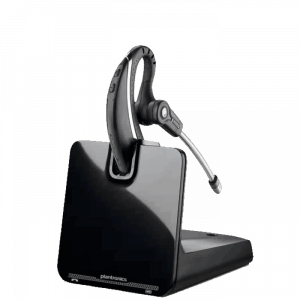 Second is the ability to work more comfortably without cradling your telephone handset against your shoulder causing neck and shoulder pain. 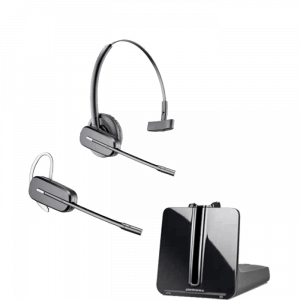 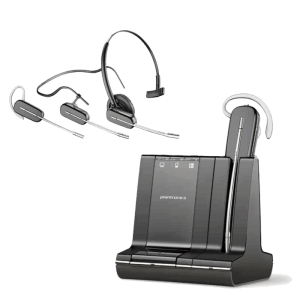 When you opt for wireless headsets you gain the aforementioned benefits, but now you have the freedom to roam your office while carrying on phone conversations. 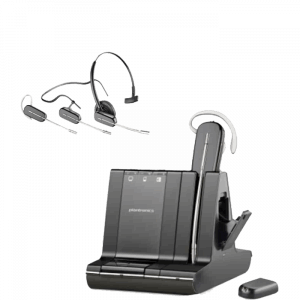 This takes your productivity up another huge notch by not being tethered to your desk with cord limitations. 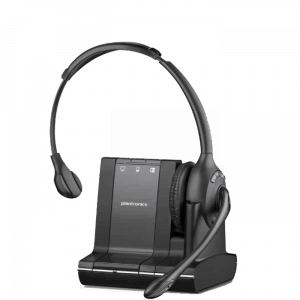 While continuing your calls, you now have the ability to approach a co-worker for assistance, walk to the file cabinet for necessary documents, or simply pace about your office. 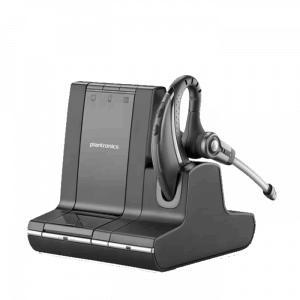 Imagine the health benefits of getting out of your chair for extended periods of time during conversations, while many other users find calls become more fluid with the ability to pace about the office. 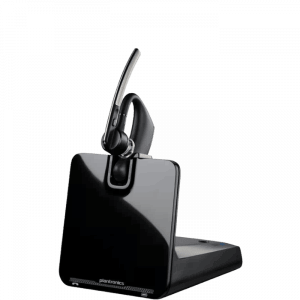 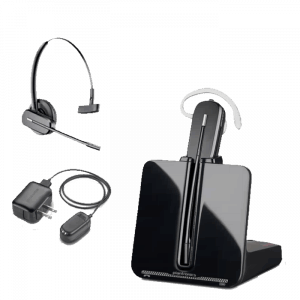 Most wireless headsets will give you up to 300-400 feet of roaming distance with 6 to 13 hours of talk time. 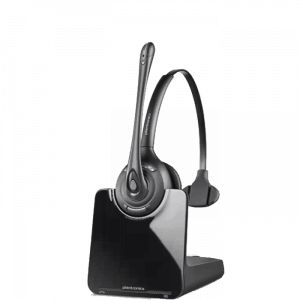 This easily gets you through the busiest of any work day, and with the addition of an electronic hook switch (EHS) cable or handset lifter, you also gain the benefit of remote call alerts, answering/hanging up your calls remotely, and automating the process of call handling. 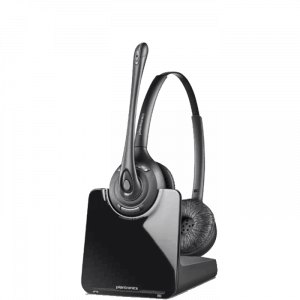 Wearing styles will include over the ear, over the head with a speaker on one ear, and over the head binaural which covers up both ears.